What made this shadow? See answer below. 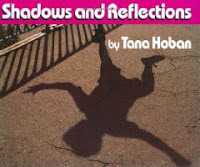 Is your child fascinated by shadows? Are they in the dark about what causes shadows? Many children are curious with the event of Groundhog Day and by watching Peter Pan movies. Shadows are mysterious to young children. 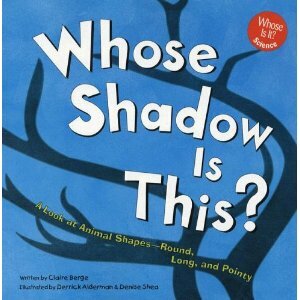 Yet all it takes to learn about shadows is to play outside on a sunny day or inside using a flashlight. My Kindergartners loved it when I turned off the lights and we learned about shadows. The children took turns making various projections with their hands. Ducks, dinosaurs, cats, monsters, crocodiles. and bunnies were among the things imagined and projected. YouTube has a video demonstrating how to make shadow puppets of a dog, swan and bunny here. Outside: Measure children's shadows at different times of the day. Tape a long line. Ask the children to print their name in front of the line with sidewalk chalk. Have the children stand on the tape while you mark the end of their shadow. Measure early, midday, and late afternoon marking their shadow on the pavement. Tell the children to observe where the sun is during these times. The children will notice the shadow's length early, then shrink back at midday, then grow on the other side of the line in the afternoon. To extend this activity, children could draw each others' shadows with sidewalk chalk then fill in their shadow. 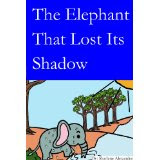 Inside: Teachers, read Moonbear's Shadow, then ask a child to turn off the lights. This will immediately grab the children's attention that something special is about to happen. Ask Little Johnny to hold a globe which represents our earth. Responsible Rosie can hold a flashlight which represents the sun. Hold a ball in between the two children which represents the moon. Tell the children to watch the shadow as you move the ball around the earth. What happens to the moon's shadow? Why? Books: Read books about shadows. On a sunny day, go outside and observe shadows. Encourage children to draw a picture of someone, or something, they see that is casting a shadow. Have them also draw the sun to show where the light is coming from to make this shadow. Silhouette: Draw a silhouette of your child's head from a side view. Take the lampshade off a lamp, place it in front of you, and have your child sit sideways in front of a blank wall. If you are a teacher, perhaps you'll be fortunate enough to have a parent willing to draw your students' silhouettes in a dark room using a projector. It will be treasured. Shadow Puppets: Encourage children to draw objects on cardstock, cut them out, and glue to Popsicle sticks - or to just use their hands and bodies to make shadows.Then put a flashlight in front of the puppets and let the story-making begin. As they move the objects the size will change. A good rainy day activity would be to hang a white or translucent sheet from a table and encourage children to have a shadow show. All you need is a flashlight or lamp to shine on the sheet and let their imaginations and creativity flourish while you sit back, relax and be entertained. Did you guess what made the shadow above? It's my grandson standing on top of the trampoline. Would you like a glimpse into Kindergarten? See Kindergarten: Tattle-Tales, Tools, Tactics, Triumphs and Tasty Treats for Teachers and Parents. Moms of Preschoolers - let Mommy with Selective Memory and me help save your sanity, one project at a time with the child development explanations with The Happy Mommy Handbook: The Ultimate How-to Guide on Keeping Your Toddlers and Preschoolers Busy, Out of Trouble and Motivated to Learn. Both are bestsellers and also available on Barnes & Noble and Kobo. The ebooks are only $3.99. Nice reading.. I will try thios to my kids..
Great post, Susan! And I'm so glad you joined in to play the "What's that shadow? Game!" So great! Love this. Funny thing, my Kindergartner just asked me the other day about her shadow! I'm so glad I found you! Now I can check out these books and add them to her list of books she's reading this month in honor of Dr. Seuss! I'm over from a blog hop and will definitely follow! Would love if you'd consider doing the same! This is great! My daughter just discovered her shaddow. We will have to read some of these books. Shadows can be fun even with older kids. Great post!